Safer Sphere understands that designers have little in the way of support by the CDM Regulations 2015 Guidance, nor any formalised training mechanism as such as those that CDM Coordinators and Contractors have had historically. We also acknowledge that CDM and H&S compliance forms one of a multitude of considerations that must be addressed by designers and their organisations. 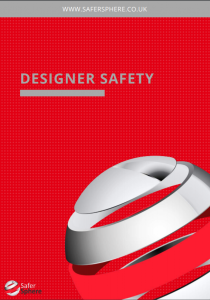 In order to offer support to Designers & Principal Designers in compliance with their legal duties under the CDM Regulations 2015, Safer Sphere has developed a number of CDM services for designers. These services have been developed with designers in mind, to be simple and easy to implement, whilst ensuring full compliance and assisting with best practice solutions. Ensure all H&S pre-construction information is issued for tender packs and/or direct to the Principal Contractor and other key duty holders as required. Work with designers and co-ordinate amongst them so that designs pay adequate regard to health and safety in construction, cleaning, use and deconstruction and the effects on third parties. Attend project meetings as required and/or producing CDM reports throughout the appointment. Provide safety advice and support for the project team for the duration of the appointment. Liaise with the Principal Contractor regarding health and safety matters during the construction phase. Input on design changes as advised, which may affect health and safety during the construction phase or the end use. Coordinate the creation of a new suitable Health and Safety File, or review, amend or make additions to an existing Health and Safety File. Ensure the H&S File is complete as agreed and handed over to the client/end user at the appropriate time, subject to information being provided and available from the principal contractor and design team. Provision of a simple and fully compliant system of procedures to ensure compliance with the Regulations in the role of Designer and or Principal Designer. Provision of CDM Designer training / refresher and legislation update courses. These courses are not just awareness of the Regulations, but guidance in how to actually eliminate hazards and reduce risks. This training would be tailored to the discipline of the designer or organisation (i.e. 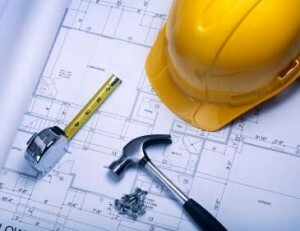 Architectural, Structural, Civil, Services, Landscape, etc.) and to the specific sectors in which they provide designs. Development of a bespoke Design Risk Management system with pre-defined issues for consideration, relevant to the design discipline and sectors the organisation service. For each item examples of practical hazard elimination and risk reduction, along with reference to further guidance where applicable, will be included to assist the designer in providing the best possible solution. Assistance in developing responses to question sets from framework and or tender enquiry PQQ’s / ITT’s, or developing a standard PAS 91 H&S response. Assistance in obtaining Safety Scheme in Procurement accreditation through the APS, CHAS, Construction Line, etc. Liaison support with the Health & Safety Executive should the designer be engaged by them on any projects. Provision of CDM Designers newsletter updating the designer and or organisation on relevant legislation changes, new guidance publications, prosecutions, HSE campaigns, etc. Access to Design Safety Advice by phone or email with our CDM Consultants and Construction Safety Practitioners.